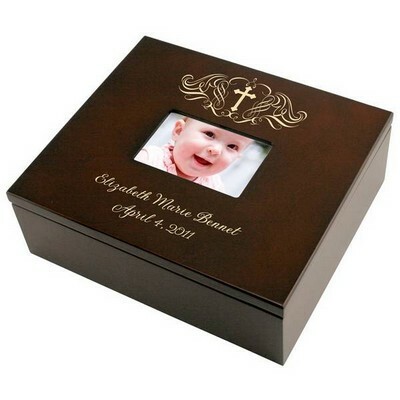 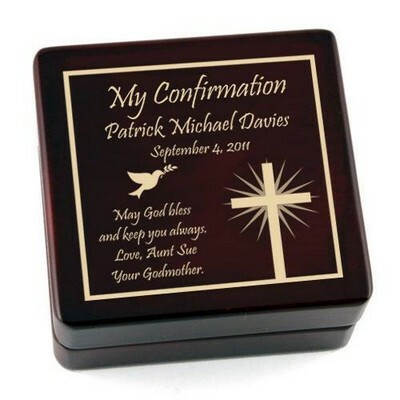 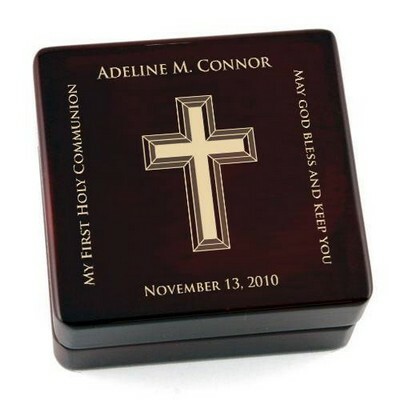 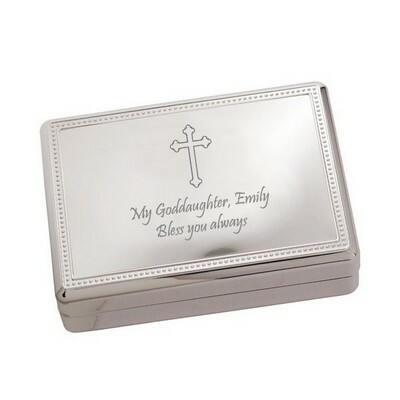 Commemorate a baby's Christening with this beautiful personalized glass plaque from Memorable Gifts. 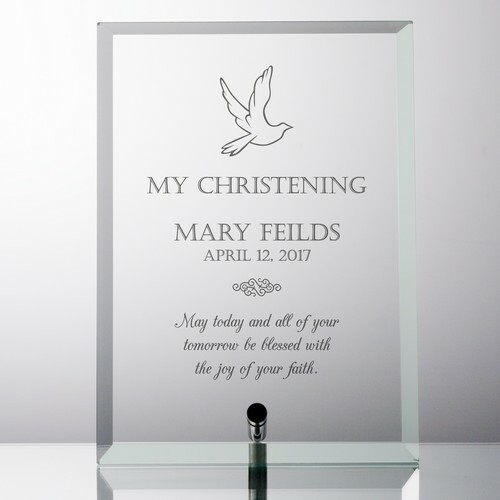 Each gorgeous, beveled jade glass keepsake features the image of a graceful dove in flight at its top and reads "My Christening" directly below. 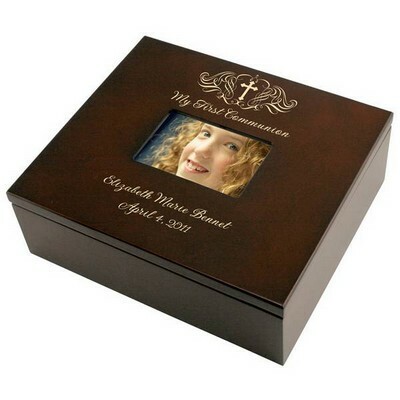 It measures 7" by 5" by 3/8" and can be personalized with the child’s name, date and a custom message up to three lines long. 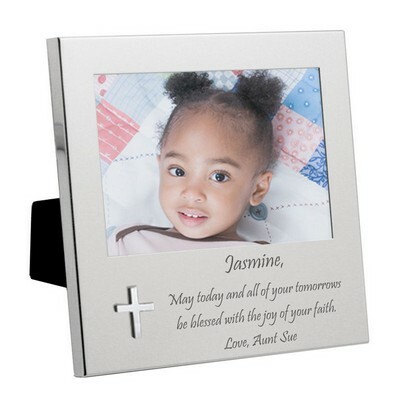 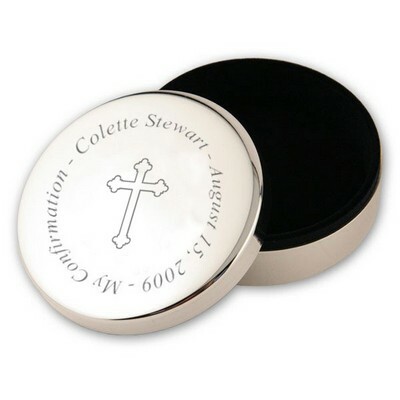 This thoughtful and ideal Christening gift will be a treasured reminder of this important milestone for years to come. 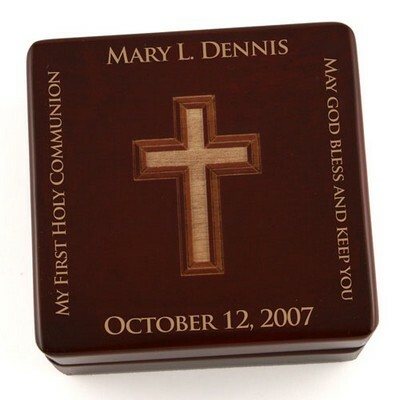 Measures 7" x 5" x 3/8"
You can earn 55 MG Rewards Points on this product!